Nintendo is not new to publicity stunts, from turning Times Square into a Wii Sports Resort to squirreling JOHN CENA away on an isolated mountaintop for a private party, they always find creative ways to hock their wares. This year they're taking a touring exhibit called Summer of Play on the road. They'll be constructing pop-up kiosks at malls, fairs and other events across America, starting in Irvine, California at the Irvine Spectrum Center, June 9-11. These events will let consumers demo Splatoon 2, ARMS, and Mario Kart 8 Deluxe among other games. Once again, I'm hoping these events will let Nintendo get all that ARMS/Splatoon 2 hype out of their system so they can show off something new at E3, instead of the same paltry handful of launch window games we've been hearing about for over a year now. A new Metroid would be nice, is all I'm saying. REDMOND, Wash.--(BUSINESS WIRE)-- With universally loved franchises like Super Mario, Mario Kart and The Legend of Zelda, Nintendo has been a staple in many families’ lives for decades. Now with games like Splatoon 2 and ARMS,fun new memories can be created this summer. 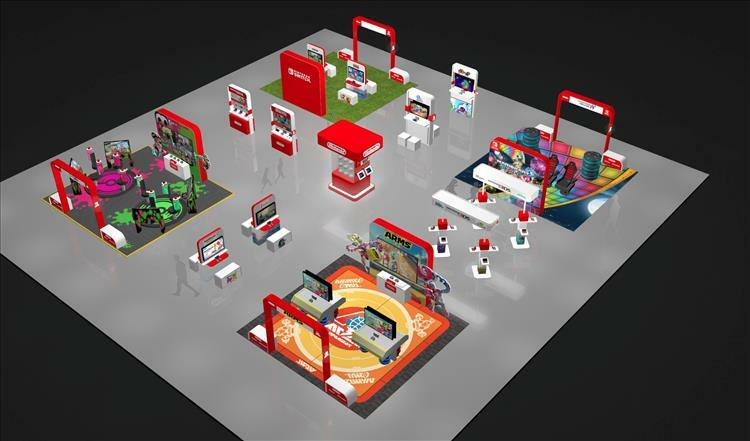 As part of its 2017 Summer of Play tour, Nintendo is taking its Nintendo Switch and Nintendo 3DS family of systems across the country so families everywhere can experience the latest installments in these beloved franchises firsthand. From the critically acclaimed The Legend of Zelda: Breath of the Wild to games that offer social competitive fun like ARMS, Splatoon 2 and Mario Kart 8 Deluxe for Nintendo Switch, the 2017 Summer of Play tour is the perfect destination for kids and parents alike. In addition to getting hands-on time with Nintendo’s popular Nintendo Switch console, visitors of the tour will be able to try out Nintendo’s latest hand-held, the New Nintendo 2DS XL system, as well as the upcoming Hey! PIKMIN and Miitopia games for the Nintendo 3DS family of systems.